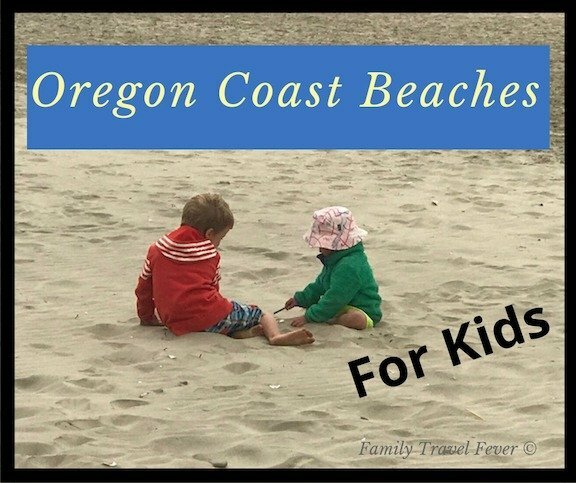 Beaches on the Oregon Coast are unique and quite magical for kids to visit. 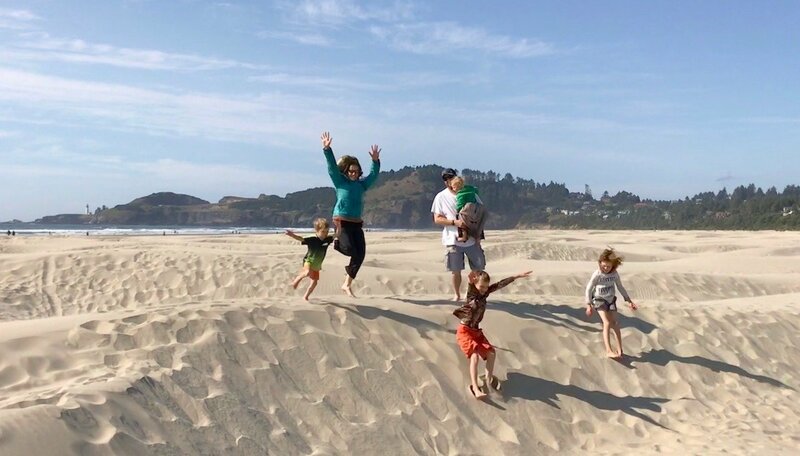 We explored some of the best beaches on the Oregon coast for families during our road trip to the Pacific Northwest. There is no end to the variety of beaches in Oregon – each one is so unique. Which is exactly what makes beach hopping your way through Oregon coast so much fun. During the planning process for Oregon, I asked each family member to list the most important thing to see on the coast of Oregon. Then, I chose beaches and activities in Oregon based on the request of each family member. 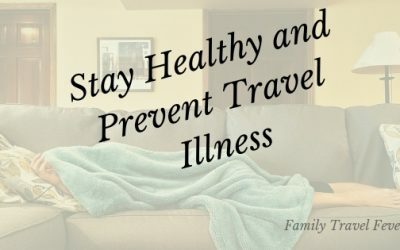 You can read more about this approach to planning a family vacation in my guide to planning a family vacation. 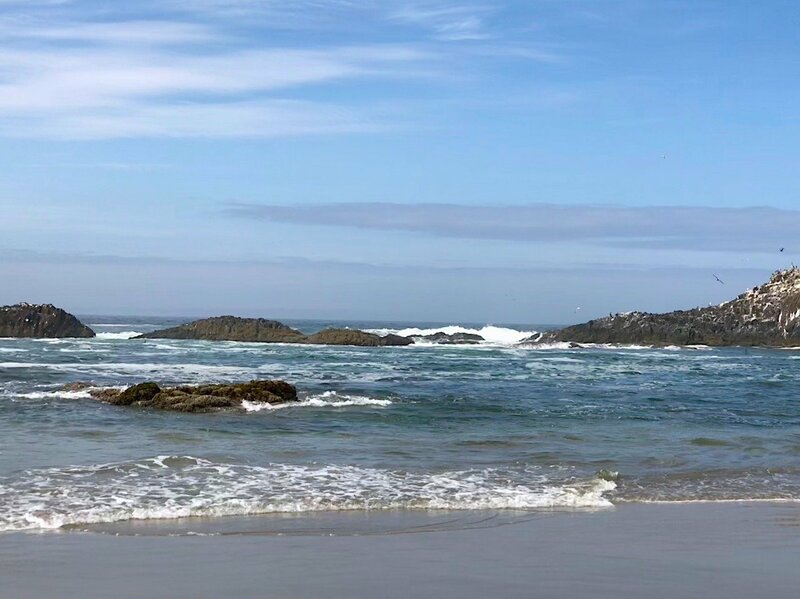 On the list was: splashing in the waves, collecting agates, playing in tide pools, rolling on sand dunes, visiting lighthouses and whale watching. 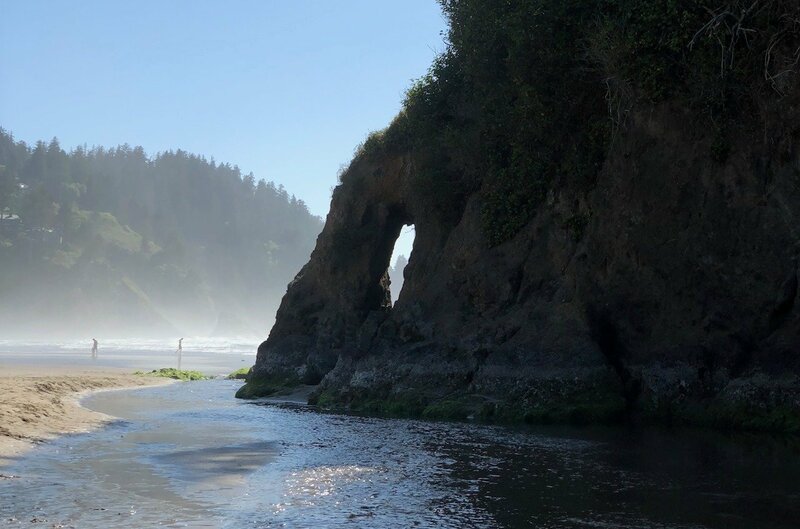 After visiting many of the recommended beaches in the Oregon coast guidebooks, I will share with you our favorites. Hobbit Beach and Haceta Beach share a common trailhead just off the side of Highway 101. You can hike the trail south to Haceta Beach or west to Hobbit Beach. Haceta Beach is generally on the list of beaches to see and it was on our list too. Just North of the Haceta Head overlook we found the hiking trails and decided to follow Hobbit trail to the beach first. 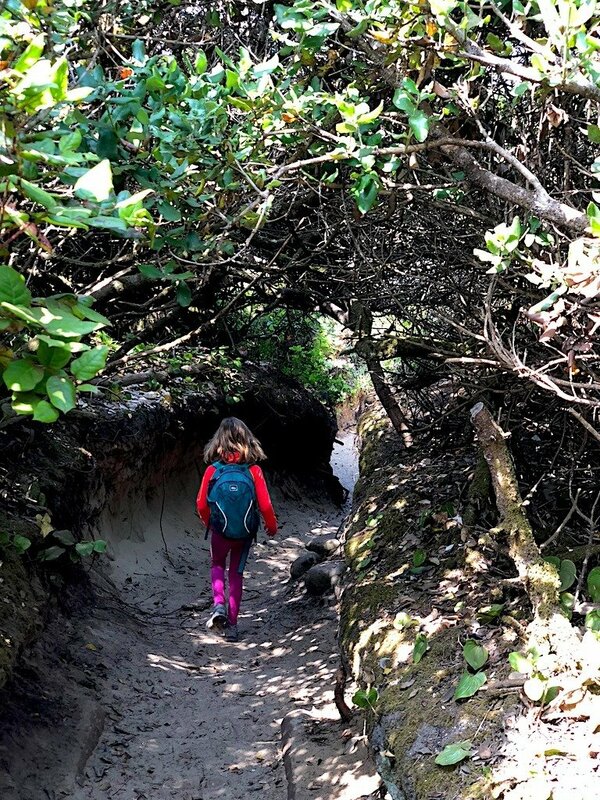 What kid could resist a hike and beach for hobbits? Especially a particular kid who loves fairies. Hobbit Trail is a fun 1/2 mile trail through the mossy, tangly growth of trees and bushes. The thick bushes create a tunnel that winds down the hill and opens to a beautiful sandy beach. The whole experience is quite magical and the beach is perfect for kids. The protected beach is has low waves for playing in and tide pools for exploring. The short trail was easy for everyone to carry their own packs with beach gear and lunch. As a bonus, we stopped at the Haceta Head overlook on the Highway 101. We could see the a good view of the Haceda Head Lighthouse and the beach. Just below the pullout off 1010, The sea lions were laying on the rocks and barking. We could hear them when we got out of the car. They are noisy! Sea lions in their natural habitat – check. No need to spend time and money to on the caves. 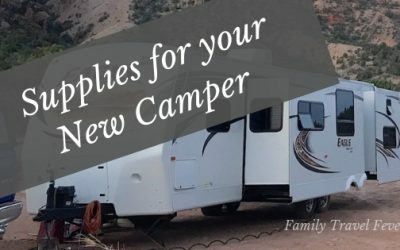 We stayed at the South Beach Oregon State Park campground because camping with beach access was on our wish list. South Beach is a large Oregon state park with camping and day facilities and beach access. The beach is long wide and flat and is breezy but not windy like some others. You can see the Yaquina Bay lighthouse from the beach. There is plenty of open space for walking, playing frisbee with the dog or flying kites. There is so much space that you can loose each other in the fog. We played on this beach, digging in the sand, looking for shells and jumping in the waves. Known for well, agate hunting, this beach was actually really fun for playing in the small sand dunes. The low rolling dunes are warm and soft for jumping, rolling and burying yourself in sand. The kids played endlessly and we had to drag them away form this beach. The beach has a couple of access points and a large parking lot for RVs. We actually had lunch in the RV parking lot at a picnic table because we had the camper with us. If you are on a multigenerational trip, this is a great beach for kids but not so much for the grandparents. The long stretch of dunes do make it a difficult walk out to the water. So only part of our group actually made it to splash in the water. If you do want to try your hand at rock hounding, you can walk along the water line over to the inlet of the stream to look for agates. Part of our group did this but didn’t find many agates. We did find another beach on the Oregon Coast much better for agates – hint look at #7 beach. Seal Rock Beach is warm sunny cove for playing in the water and bird watching. Birds nest in the rock outcrop adjacent to the beach and the fresh water stream is full of gulls and other shore birds. Seal Rock beach is known for the tide pools at low tide but we made it there while the tide was coming in. Make sure to check the tide schedules if you want to see the tide pools. Although, the water was too high for exploring the tide pools, this sunny beach was a welcome relief from the winds of the Oregon coast. The parking lot is small and no RV parking which keeps the beach from getting crowded. It has a has a scenic overlook of the rock outcropping and ocean. The beach is a short but steep hike from the car but close enough to bring all our gear. We spread the blanket by some driftwood for a nice lunch. The cove is safe for the kids to run and play in the freshwater stream, low waves, tide pools, on the driftwood and in the sand. 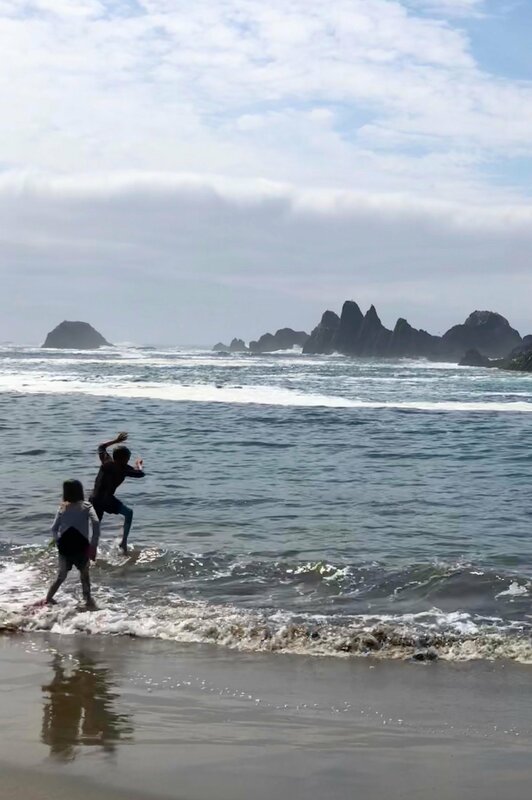 The kids voted Neskowin State Recreation Area one of their favorite beaches. The beach is in a small protected cove and is sunny and warm. The ghost forest, with 2,000 year old tree stumps rising out of the water gives this beach a unique look. Proposal rock is one of the only sea stacks on the Oregon coast that you can access from the beach. The toddler and preschooler had fun forging the 3 inch deep creek that flows down the beach to the ocean. The creek water was much warmer than the ocean water and kids were everywhere splashing in the water and building sand castles. The big kids headed strait for Proposal Rock to climb on. Dad had fun walking the beach and wondering about the tree stumps sticking out of the water. Maybe the biggest hit was the little ice cream stand across from the parking lot. We enjoyed the ice cream cones on our walk to the beach. 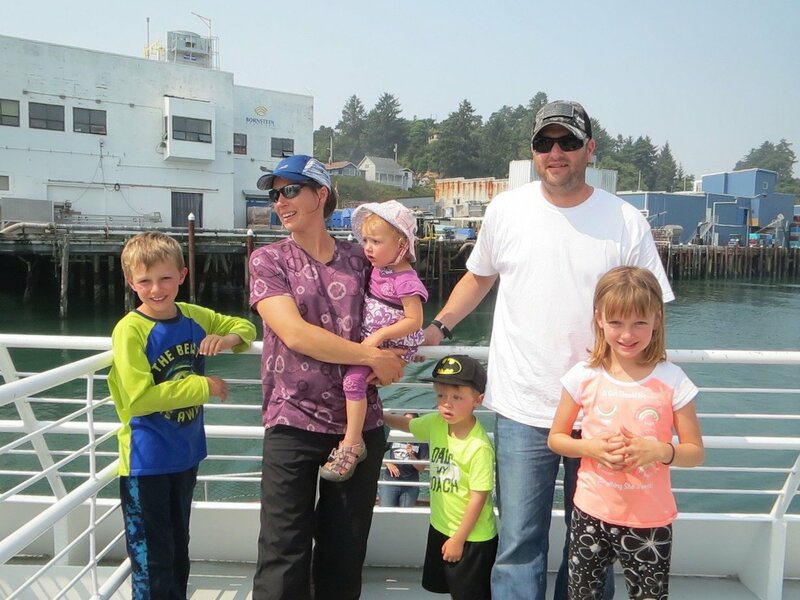 We agreed that this was a much better (and cheaper) way to enjoy Tillamook ice cream than the crowded, over-rated Tillamook Cheese Factory tour. 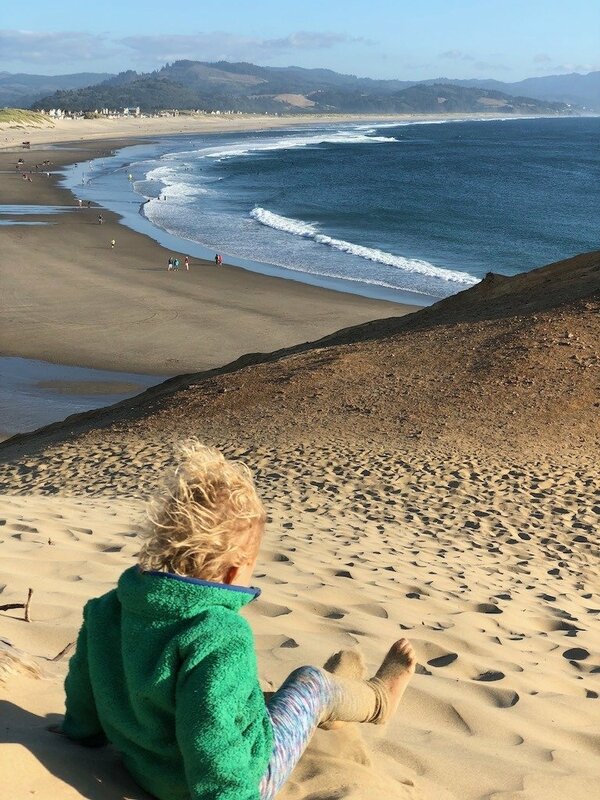 If you want to explore tide pools, climb a huge sand dune and the experience of driving on the beach this is your beach. We even saw whales spouting in the distance against the sunset. Quite spectacular. We had fun exploring the tide pool and sandstone at the edge of the beach. A huge sandstone cliff and sand dune rises hundreds of feet above the beach. 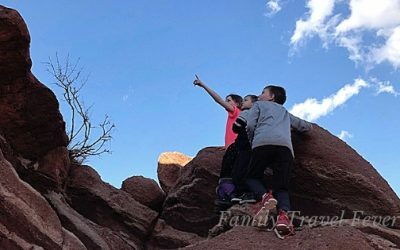 The kids look like tiny ants by the time they climb to the top. They come tumbling, sliding, rolling down to the bottom. The top of the dune has a spectacular view and a hiking trail leads from the top of the dunes around to the North. The cliff edges are fenced off with danger signs. Many deaths have occurred over the years so its important to heed the warnings and stay safe. This beach is very popular and is one of the few beaches that you can drive on around the Oregon coast. I had driven on beaches in Australia, and Charles wanted to have that experience. He got both the experience of driving and being towed out of the sand. Yeah – Its a little trickier than you might expect. Small quiet beach with secret tunnels, caves and agates – what could be better! Oceanside beach was so surprisingly different than any of the other beaches. The main beach has easy access from the quaint little town. On arrival you see a long flat sandy beach with a little stream to splash in. 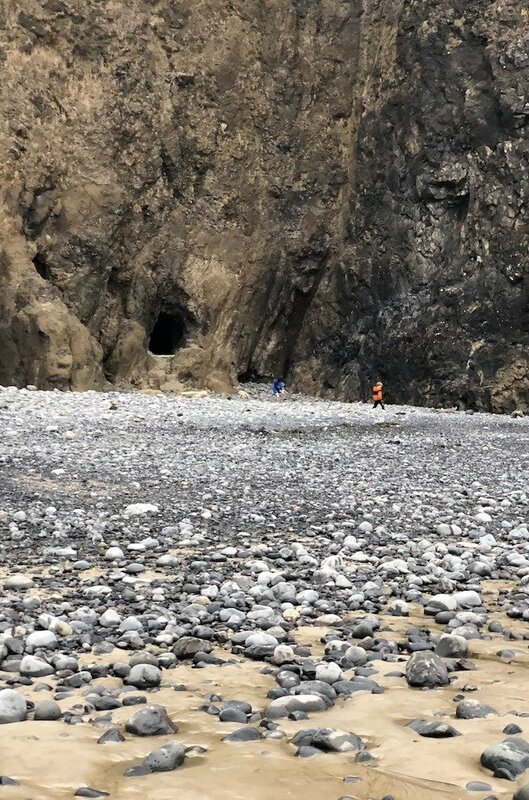 A closer look and you find a tunnel in the side of the cliffs. Just a sign that warns of the danger of falling rocks marks the entrance. 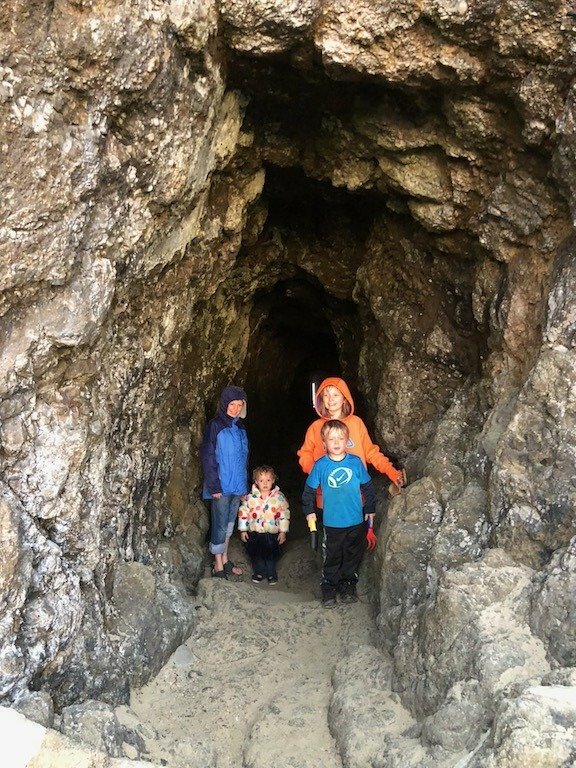 The tunnel is just a rough tunnel and no lighting – which makes the walk even more exciting to kids. It is an easy short walk for kids and adults – just watch your head. The tunnel opens to another beach full of rocks and pebbles. When we arrived it was foggy and no one else could be seen. It was quite magical. We spend an hour or more sifting through the rocks finding agates. We filled our pockets until the tide was coming in and the evening was getting cool. We felt like we had discovered a secret magical beach full of mythical agates we had been searching for the whole trip. We have been beach hopping in other parts of the country and world. Oregon coast is unique in the variety of different types of beaches and the unique aspects of each. You will be surprised at each new beach you visit. Sometimes you will go in search of agates and find sand dunes. Or just a quiet cove and find a secret tunnel. Since the beaches on the Oregon Coast are so different, its impossible to pick our one favorite. The possibilities seem endless! 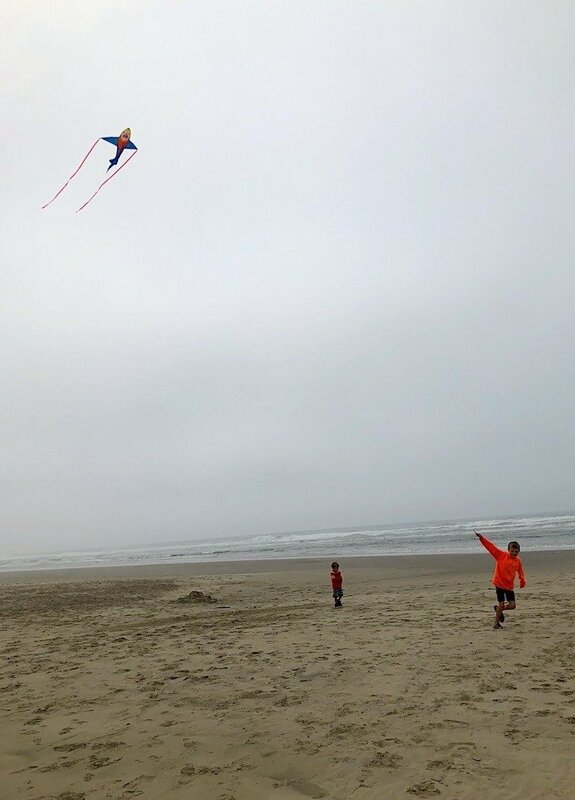 What is on your family’s list of best beaches on the Oregon Coast?